• The patented,elegant, and fully-endosed splash guardis standard accessory. The splash guard is designed to prevent from dust pollution during wet sharpening and reduces noise. 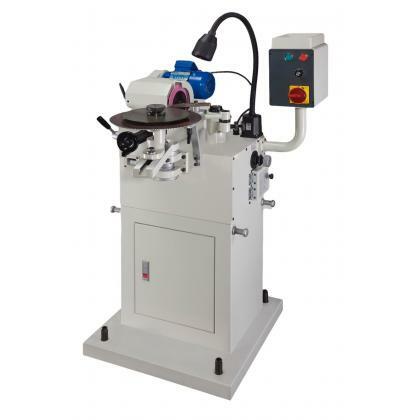 • The newly designed window provides wide vision and easy to view the grinding object. The splash guard is easy to open and convenient to change the saw blade. 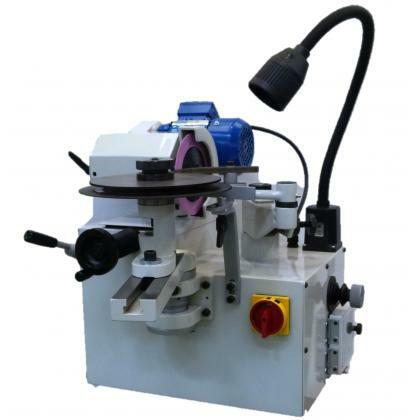 • This professional saw blade sharpening machine is well-designed based on our years of experience. 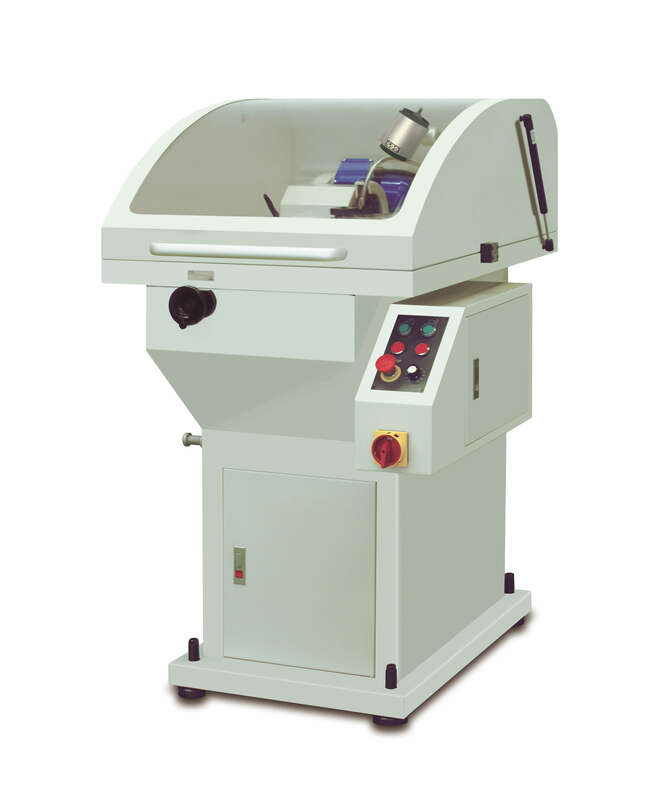 • Brand-new design: This sharpening machine is designed from the operator's point of view. The adjusting levers are arranged ideally for the operator to adjust easily the culling angle, the back clearance angle, the teeth depth and teeth pitch of the saw blade. Therefore, the edgy saw blade can be ground out rapidly and precisely. • It uses the frequency inverter to control the grinding speed. Therefore, the grinding speed can be adjusted easily following the changes of the teeth pilch according to the requirement. It doesn't use the step pulley so there is no pulley consuming problem. • The saw blade thickness is adjusted by a precision graduator,which can accurately adjust the center point of the saw blade. • The difference of high-low teeth is adjusted by a control dial. The C type teeth with high-low difference can be ground out once. 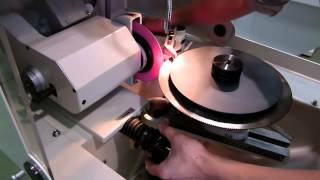 • The industrial and professional tooth shape cam is designed through anaccurately calculated mimic process of the computer. It makes your saw blade grinding jobs simpler, faster and more accurate. • The grinding head can be adjusted up-and-down, so the chamfer angle can be ground out without changing the cam. • The tungsten-carbide-tipped pushing jaw has maximum wear resistance to maintain the accurate feeding. • Casting of machine are made of ductile iron(FCD-45) for the best wear resistance, tempered and stress relief. • All of the main parts are made of SKD II alloy steel, hardened and precision ground. • The spring of push arm is reformed to ensure the precision of the feeding. Rotary type spring has better resistance from elasticity fatigue. • The support base of the saw blade feeding shalt uses the high tensile brass alloy and embeds the high-tech-made solid lubricant inside. It features heavy load capacity and good wear-resistance to accomplish the oil-free feed function. • The enlarged 30mm feeding shaft is hardened and precision ground.